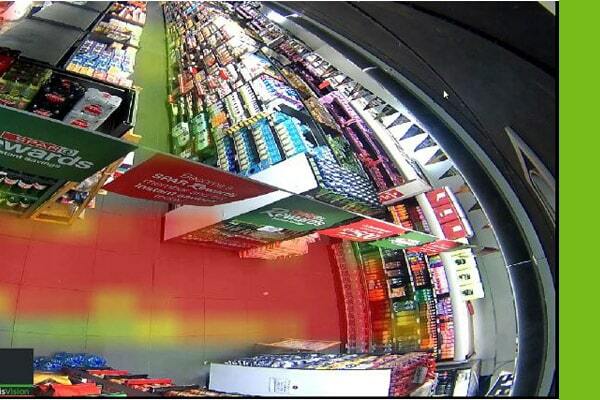 Heat-maps can be applied as overlays to selected cameras for a quick overview of areas of motion within a camera view. The heat-map shows a colour-map overlay on the video depicting the amount of motion within that camera view. With this new feature CathexisVision uses data collated from the Motion Database in order to indicate areas of motion. Areas of more-to-less motion are displayed using a colour spectrum of red-to-green, respectively. The heatmap results can be refined using certain parameters.